Seriously? 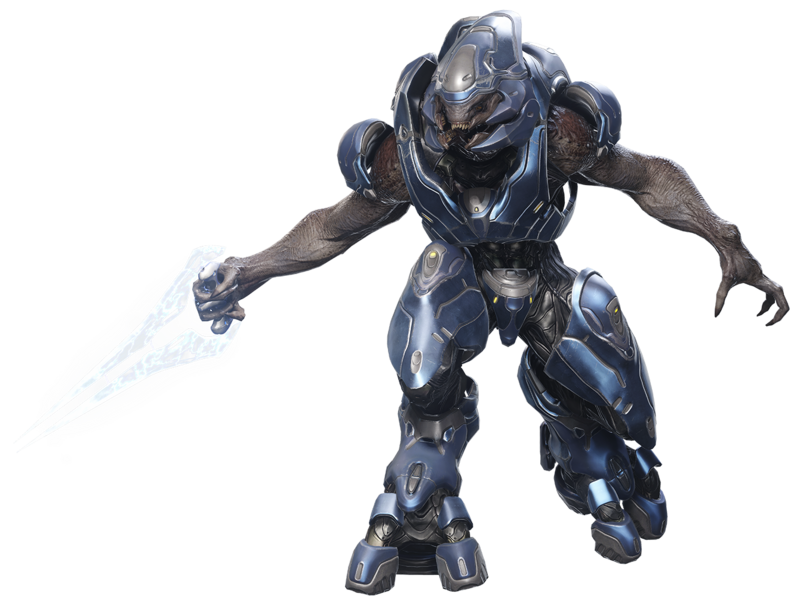 Why are the Swords of Sangheilios wearing the beaten, offbeat style armor of Jul's ragtag covenant? This makes no canon sense at all. Thel's covenant are supposed to be equipped like the standard military covenant from the war, fully geared and equipped. More like this and less like ugly monsters. They are supposed to look radically different, Cortana even points this out in the first level of Halo 4 with Jul's covenant. 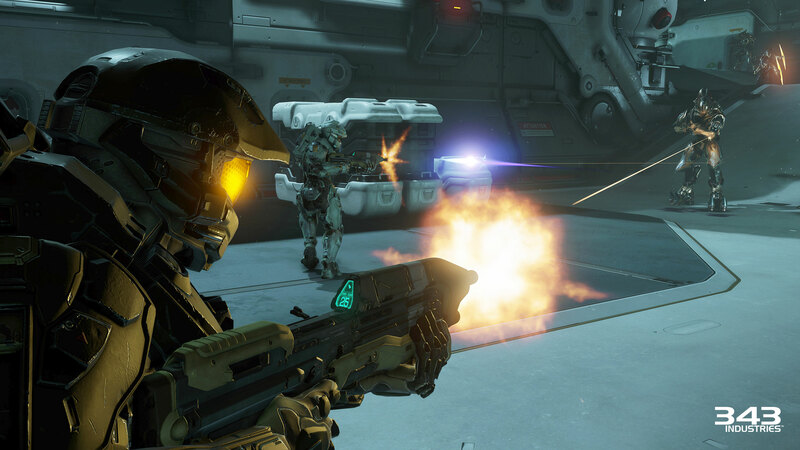 "The good thing is it looks like they're not outfitted like standard military"
Seriously 343i what is going on over there? This is more than just small details this is a major artistic problem that messes with the visual storytelling. Wasn't canon supposed to be a main focus of 343i? Artistic liscence due to cost. Cost does not affect human stuff though, just the coview. I assume that they won't get enough screen time for a different design to payoff. Tartarus hardly got any screen time and he's the most recognizable brute to date. Which will be ironic. fighting with the SoS but not getting to see them enough on their own homeworld. 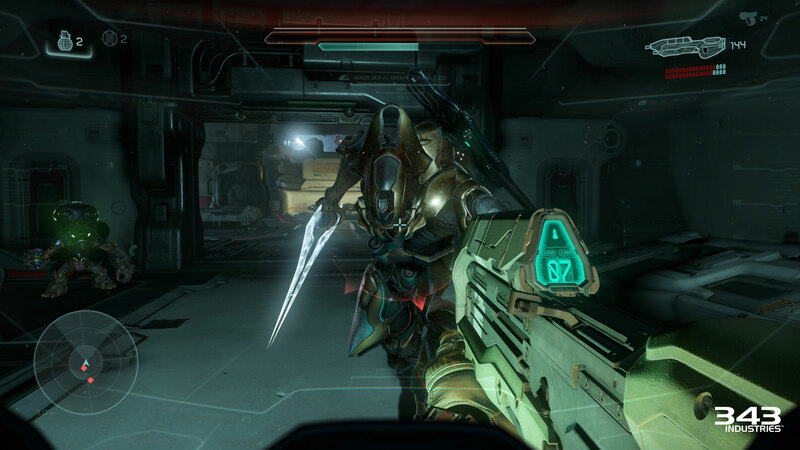 Here, here, and most importantly here, you'll notice that, much like Halo 4, they lack armour on their arms. If we look at Thel's group, here, it seems that they keep their arms covered, as they did in the older games. Canonically it could be argued that the Storm harness has improved and become better than the classical ones. No, it's because it's impossible to use Halo 2A models because they run on two different engines. You are literally trying to fit a round peg into a square hole. That's not how 3D models work. They're made and then imported into the engine. As long as you can access the models, you could put them into any engine you wanted. You really think it's as easy as copy paste? I'm a 3D modeller, so I'm speaking from experience when I say this. In 343's BTS videos you can see them modelling, and like most big companies they use Maya for their 3D modelling. When they want to put these assets in the game they import them into the engine. There can be differences in how engines then process these assets, though to my knowledge they're mostly the same these days. It's not copying and pasting. If they have access to the original assets then they simply import them. If for some reason the assets were deleted, it's technically possible to rip them from the older game and import them into the newer one. Is there a canon reason behind the SoS using a storm harness? Just a little surprised/confused by today. Uhh... you're the one talking to a 343i employee. But if you can tell him what he does and doesn't know about his own company, then be my guest. As much as I dislike the fact that we only have one model grim is right. He is not mentioning the importing stuff. He is referring to the lazyness part. 343i could just make a new model if importing was impossible. The thing though is that this costs and 343i has a budget. They just chose to use that money for something else other than a 2nd Sangheili model. If it's not laziness it's probably a deliberate artistic decision. 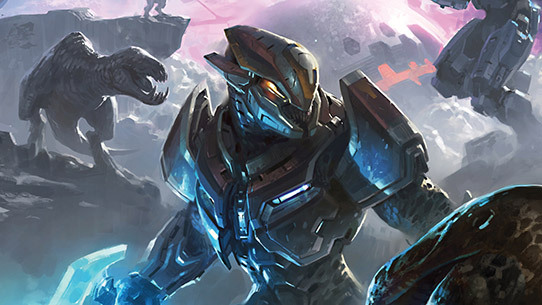 The art team probably want all the Elites to have a uniform aesthetic so the different factions won't be confused for different species or something to that effect. There are almost always multiple reasons for certain decisions like this. Sometimes artistic license, oftentimes scope and resource management. But never, ever "laziness." It's not an assumption one makes if they know anything about game development.